What is your #1 tip to help publishers increase their revenues? Let’s see what our monetization experts had to say. 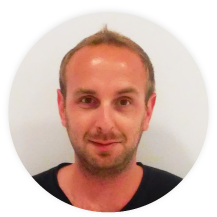 Yaniv is imonomy’s Monetization Specialist and has extensive experience optimizing leading publishers’ monetization strategies. Yaniv is also a die-hard soccer fan. My best tip for publishers is to be open minded to new monetization tools, products, and formats. Publishers should be constantly testing new ways of approaching online advertising in order to find a strategy that boosts revenues. And even once a publisher figures out what works well for them, they must continue to adapt to the newest trends in the market. The online market is constantly evolving and publishers must think three steps ahead to maximize their revenues when major transformations in the market occur. In addition, publishers should work in full transparency with their demand partners in order to optimize their performance. By collaborating effectively with your demand partners, you give them the tools to ensure mutual success. Finally, It’s important that your data is accessible to your relevant employees through a dashboard. This allows your team to simply and effectively analyze your data for success. 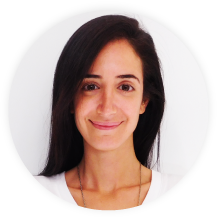 Hila is the Head of Publishers Business Development at imonomy and she is one of our monetization experts with a focus on publisher revenue growth. Hila is a people person and loves connecting with new clients. Based on my experience working with different publishers around the world, the biggest challenge facing publishers today is finding the perfect balance between site monetization, high user engagement and long time-on-site. Publishers must have the ability to generate a consistent revenue stream in order to survive and in order to be able to create content for the end user without ridding users of “free internet content.” By using intelligent monetization tools, publishers can avoid an environment where users must pay for content. The ‘Ad-blocking’ era teaches us that publishers must take into consideration the user experience as a top priority in order to avoid losing site traffic due to ad blocking. Therefore, today’s advertising technology is becoming more “user-oriented” and we are seeing more websites that use native solutions. This guarantees more elegant, natural and appealing websites. Moreover, users prefer to see relevant ads to them, therefore, contextual or re-targeted ads are now a must for publishers. My best tip for publishers that want to increase their revenues is to shift more towards native and non-intrusive ads. These ads will prevent users from leaving websites as well as from downloading ad blockers. The end result will be more user engagement and ultimately, higher revenues. Paul is imonomy’s Content Marketing Specialist. He is a passionate writer, social media enthusiast, strategist, photographer and walks a fine line being both a Star Trek and Star Wars fan. One of the most important things a publisher can do to increase its revenues is to deliver a more relevant experience to its audience. One of the ways it can do this is to use Big Data to gain deeper insight into the audience’s demographics and what the members of the audience are most interested in. Once a publisher has this understanding, it should focus on delivering the content, supported by similarly relevant ads, that the audience is looking for. 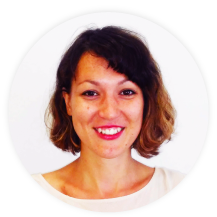 Olga is imonomy’s Senior Business Development Manager and she works closely with leading ad exchanges and DSP’s to ensure high revenues for our publishers. Olga is also an avid dog lover and rarely forgets to bring ‘Liloo’ to work. In today’s data-driven environment, it’s crucial to ensure that you have control and full knowledge of your data (CPM rates, fill rate, discrepancies, etc). By constantly optimizing your numbers, you can ensure that you are getting full value from each of your demand partners. If you have an ad serving waterfall, make sure that there are minimal discrepancies. For example, if your first advertiser gives you a CPM of $2 with a 20% fill rate but the discrepancy in the impressions passes to the next advertiser at say 20%, this means that the actual eCPM that your site gets is at approximately 20% lower and therefore you should optimize your chain and perhaps give the first look to another partner. 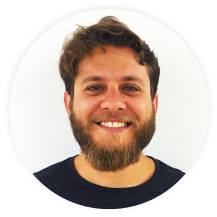 Tom is imonomy’s Marketing Growth Manager. 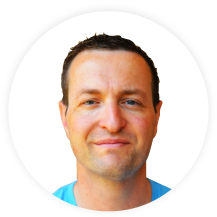 He is an expert in online marketing and advertising with a deep focus on UX and data analysis. Tom rides his bicycle to work even when it’s raining and eats salad against all of his basic instincts. In the ‘age of ad blocking’, the best way for publishers to increase their revenues is by finding ways to counter the ad blocking trend. Publishers can do that by giving their users maximum value, both in their content and in their ads. For example, a user that is looking for a hotel room at the best possible price may find a great deal via an advertisement. By using data intelligently, ads can actually help users by saving them valuable time and money. Leveraging data can be very beneficial for users. Not only can it mean ads and content that gives more value, but it can help both advertisers and publishers to avoid annoying users with non-relevant disruptions. We hope you found our expert round-up valuable. If you are interested in learning more from our monetization experts you can get in touch with us here. Thank you, Nick. Glad you find our content valuable!